Passover, the eight-day Jewish Festival of Freedom, starts today. 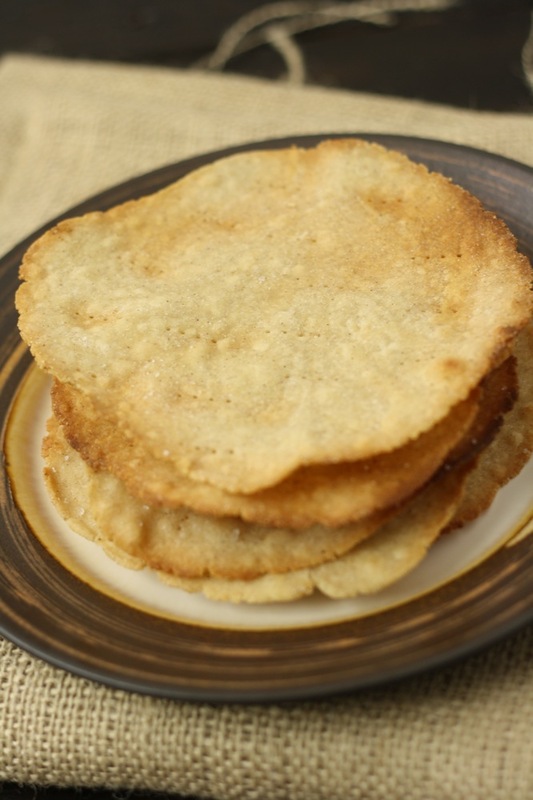 One of the central aspects of the holiday is unleavened bread known as matzo or matzah. 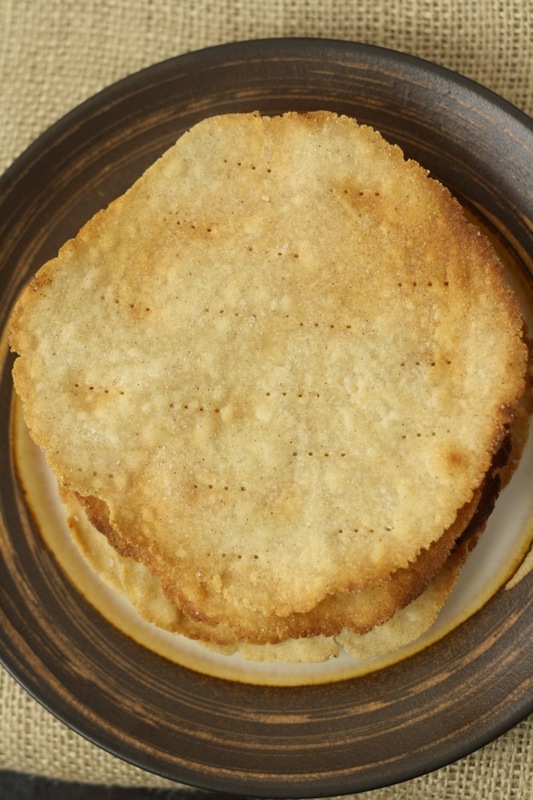 And while you could certainly buy store-bought versions (the classic rectangular, dry, cracker-like sheets so familiar to many), making homemade matzo is simple and easy, including in gluten-free form. We’ve made ours circular, though you could easily modify the technique to get right angles, if you so desire. As we told a reader on Facebook, the recipe is up to us; the shape is up to you! =) Oh, and you’re also responsible for making sure your kitchen is kosher and your house is free of chametz. No gluten, no chametz, no problem. 1. Place a pizza stone on the middle rack of your oven, and preheat to 500 deg F.
2. In a food processor, pulse to combine the flour and salt. 3. Add the olive oil and pulse to incorporate completely. 4. With the food processor running, drizzle in the water until a dough ball forms. 5. Scrape out the food processor and turn the dough onto your work surface. It should be slightly tacky at most. 6. Form the dough into a log and cut into 12 equal pieces. Cover with a piece of plastic wrap or a towel to prevent from drying out. 7. Roll each piece of dough between two pieces of plastic wrap until 6 inches in diameter. It will be very thin. 8. Dust a pizza paddle or bottom of an inverter cookie sheet with flour. 9. Remove the top piece of plastic, and flip the dough onto the floured surface. Then remove the second piece of plastic wrap (which should now be on top). 10. Dock the dough with a fork and sprinkle with sea salt. 12. Slide the matzo onto the preheated pizza stone. Cook 1:30 per side. 13. Repeat until all matzo are cooked. The browning of the matzo is what really brings out the classic flavor. If you leave your matzo too blond, it won’t have the characteristic quality. This recipe is: gluten-free, dairy/lactose/casein-free, peanut-free, tree-nut-free, fish-free, shellfish-free, soy-free, vegetarian, vegan. Thank you for the matzo cracker recipe. After searching the internet, your recipe looks and sounds the best.